Milliken most recently served as chancellor of The City University of New York (CUNY) from 2014 until 2018, overseeing the largest urban university system in the country. 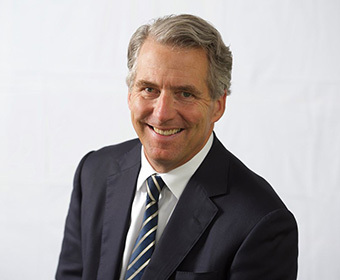 (Aug. 6, 2018) -- The University of Texas System Board of Regents has selected James B. Milliken – widely regarded as a national leader in public higher education with 30 years of administrative experience at major university systems in three states – as the sole finalist for the position of UT System chancellor. Milliken’s recommendation was approved unanimously by the board at a special called meeting Saturday. Milliken was selected following a national search led by Chairman Sara Martinez Tucker and a search advisory committee that included Board Vice Chairmen Jeffery Hildebrand and Paul Foster, as well as former Board Chairmen Donald Evans and James Huffines. The committee was supported by Steve Newton of Russell Reynolds Associates, a leading global search and leadership advisory firm.